We were chatting the other night about the 23 years St Rynagh's had waited for their 17th Senior championship win, and how alot of good hurlers had ended their careers without the reward of a SHC medal. Many of them played Senior for Offaly, while I'd say most of them played Minor and/or U21 for their county. Here's a St Rynagh's team made up of players who didn't win a Senior championship during that time. Kevin Kelly, John Ryan, Gary O'Connor. Has anyone else any suggestions? Cirain Butler, was he a sub in the final?? 16. Pat McIntyre - ??? All under 35 bar Nigel Woods who is still hurling Junior for Belmont. Simon Og Lyons although on this years panel departed for London in August. Not transferred yet, but effectively out of the running too. 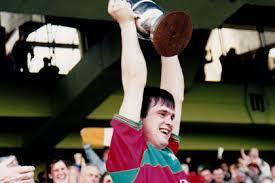 Just wondering, why do the offaly intermediate club champions hurl Junior leinster? Very unfair I feel on out and out Junior teams. Clodiagh gaels are playing Rathoath and from my experience playing Rathoath this could be a massive win for Clodiagh gaels. Last year was the same with lusmagh beating arklow by a huge scoreline. Also, and maybe ita a mis print but I see the Mayo and roscommon champions play intermediate. Then so should the offaly champions. I know the Mayo and roscommon teamss are Senior in their counties but that standard would be very poor. They play junior for the same reason the Mayo and Roscommon champions play intermediate. The standard is not good enough. 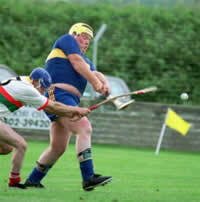 private joker wrote: Just wondering, why do the offaly intermediate club champions hurl Junior leinster? Very unfair I feel on out and out Junior teams. Clodiagh gaels are playing Rathoath and from my experience playing Rathoath this could be a massive win for Clodiagh gaels. Last year was the same with lusmagh beating arklow by a huge scoreline. Also, and maybe ita a mis print but I see the Mayo and roscommon champions play intermediate. Then so should the offaly champions. I know the Mayo and roscommon teamss are Senior in their counties but that standard would be very poor. Don't the Offaly team have to win the All-Ireland at their level in order for them to move up to the next level? Yes. That said, I think Creggan Kickhams are the only team that wasn't a proper "junior" club ever to do so - so the current system appears to be working okay in that regard. The Intermediate and Junior winners from the respective counties appear to be competing at the right level. Oulart 2-13 Rynaghs 0-9 in fairness Missing Gary Connelly, Stephen Quirke, and Camon, never going to get a win down there without their fullhand. 10 points was about a fair refection in the gulf in class between the sides. Oulart's two goals were evidence of that. townman wrote: Oulart 2-13 Rynaghs 0-9 in fairness Missing Gary Connelly, Stephen Quirke, and Camon, never going to get a win down there without their fullhand. Stephen Wynne was missing too but to be fair Oulart were missing N Kirwin And K Rosinger . Poor game St Rynagh were out classed ,simply didn't have scoring forwards with G Connelly S Quirke and S Wynne missing but not having S Wynne for free today was massive . i think Stephen Quirke was a big lost Rynaghs had no one to get the ball and go at Oularts backs like he does. also Gary Connelly was missed around the middle but as you say oulart were missing Rossiter who is a top player. anyway Rynaghs can learn from this and if they get another crack at it in 2017 they can do better, remember Coolderry losing to the westmeath winners clonkill i think one year but came back the next to win the leinster. Rynaghs were shocking poor today. Some of their striking was junior standard. The short game they play is both frustrating and horrible to watch.